United Nations Civil Society Briefing. The Holocaust illustrates how easily “people can move from condoning brutality, to committing genocide” and shows that “leaders who sanction hate speech or make anti-Semitic or xenophobic slurs” are encouraging their own citizens “to do the same”, the UN’s head of Global Communications told leading members of the Jewish community at UN Headquarters in New York on Thursday. The event featured video clips from the film “The Albanian Code”, which shines a light on the role that the rugged and historically-rich Balkan country played to rescue Jews, interspersed with remarks and observations from Albania’s UN Ambassador Besiana Kadare; Ronald Lauder, President of the World Jewish Congress; and Robert Singer, Chief Executive of the World Jewish Congress, among others. Jonathan Cohen, Acting United States Permanent Representative, said that Albanians “stand out among the courageous people”, and that its Besa honour code “sets an example for us all”. “Albania deserves to be called the righteous nation,” because it was the only country that made sure that “not even one Jewish life” was taken by Nazi Germany, Danny Danon, the Israeli Ambassador said in his address. Pointing out that while people credited Besa for Albania’s behaviour, he painted a picture of countries’ whose shattered “moral values and moral codes” were not only insufficient to safeguard Jewish communities but even used to justify Nazis collaboration. In the “dark days” when the benchmark was “being evil”, that Albania upheld its moral compass “is even much more remarkable,” he said, noting that through its open-door policy, the country actually ended the war with a larger Jewish population than it had before it began. Congressman Eliot Engel, Chairman of the US Foreign Affairs Committee, said: “We still have our work to do to follow the brave Albanian citizen who saved Jews during the Holocaust” and to “make sure that hatred against any group does not rear its ugly head”. 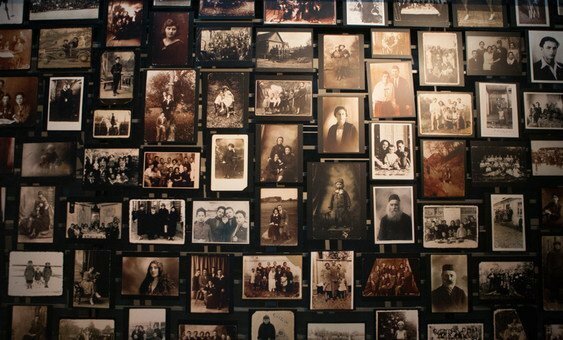 More than seven decades ago in Auschwitz, Jewish teenager Marian Turski felt he “had no name, he had nothing, but a number” tattooed on his body. 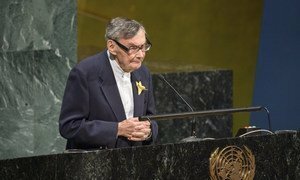 Speaking on Monday, at the annual Holocaust Memorial Ceremony, at United Nations Headquarters in New York, the 92-year-old called on the world to express renewed “empathy and compassion”.